We've got 5 copies of the book to give away to our members! 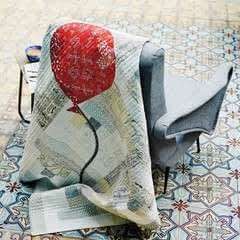 Quick & Easy Quilts is a collection of 20 simple and colorful quilt projects perfect for beginners or quilters who want to start and finish a project in a weekend. The bright and fresh designs, clear instructions, and tips and shortcuts will have quilters of all skill levels starting―and finishing!―a quilt in just a few days. 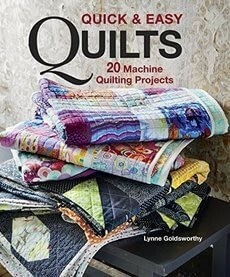 20 projects include 12 quilts and 8 smaller projects all feature straightforward designs focused on time- and money-saving techniques includes working with bundles and precuts, strip piecing, and quilt as you go Author Lynne Goldsworthy provides a thorough techniques section that introduces must-know information to new quilters.